The 2014 Super Rugby has been a great one. South Africa as a whole has not had the best season but there is still no better rugby than a local derby. Teams who have underperformed are able to bring the extra heart required and challenge teams to a new level. We saw this just last weekend when both the Stormers and the Cheetahs emerged victorious against much fancied opposition in two great South African derbies. 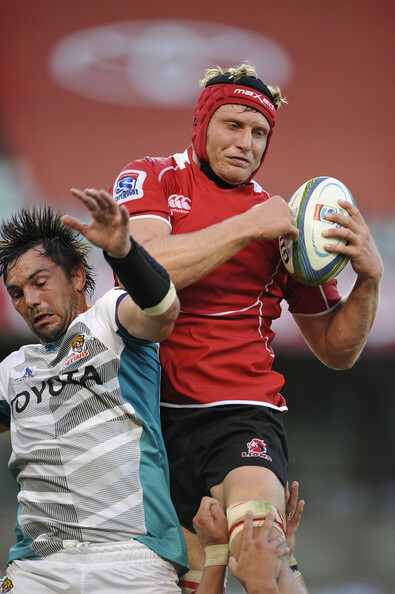 This Saturday the league phase of Super Rugby 2014 comes to an end with the Cats derby between the Lions and the Toyota Cheetahs. The Cheetahs have had a disappointing season after the lofty heights of last year when they made the playoffs and will look to end the season on a high before the mass exodus that will include Adrian Strauss (Probably), Phillip van der Walt, Lappies Labuschagne, Johan Sadie, Johan Goosen, Hennie Daniller and Riaan Smit amongst others. The Lions on the other hand were expected to be the whipping boys on their return to Super Rugby after the year in isolation. Instead the Lions have gone about winning 6 games this season, there best ever in Super Rugby and should they beat the Cheetahs could finish in 12th place, of course should the Cheetahs win they could also finish 12th. Of course it might not seem like much to play for, but the loser will be the bottom South African team, a title they will be desperate to avoid. We will be at the game, but we would love to send a few of you as well. As a result we have 2 sets of double tickets to give away to the game. All you have to do is either post on our Facebook page or tweet to our Twitter Account telling us who you think will win the game. Winners will be announced on Friday morning and tickets will be collected at the Stadium. Its time to end the season with an epic match!